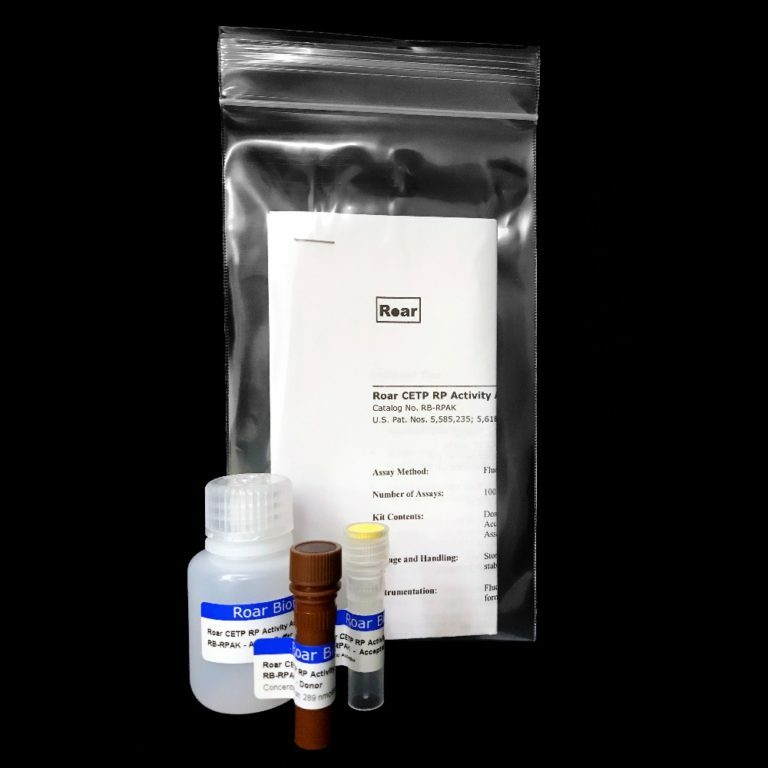 Measures cholesteryl ester transfer protein activity with recombinant CETP (rCETP) as the source. 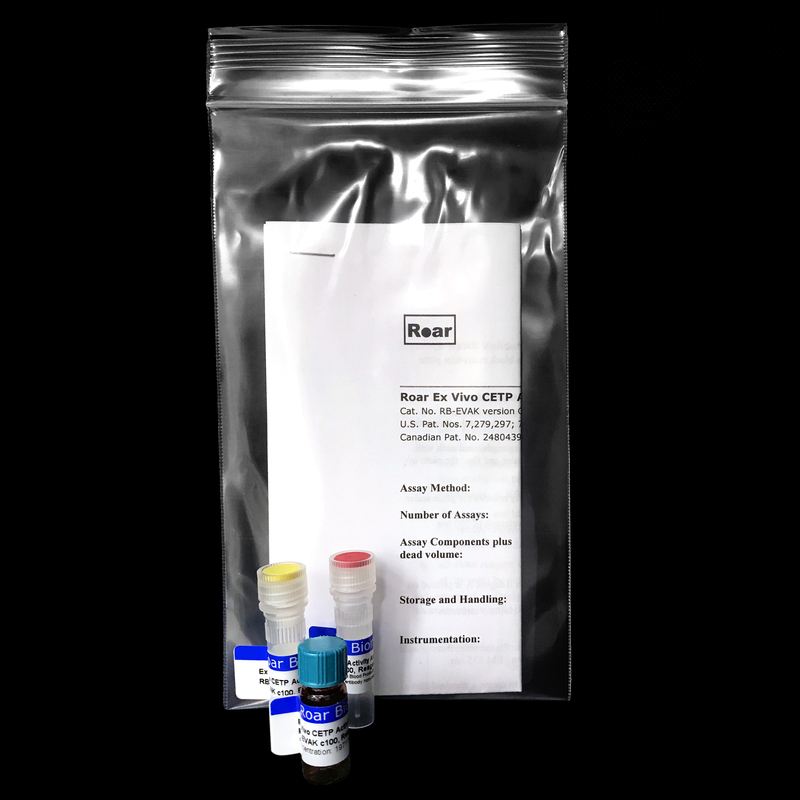 Description Homogeneous, fluorometric assay kit useful for measuring cholesteryl ester transfer protein (CETP) activity. 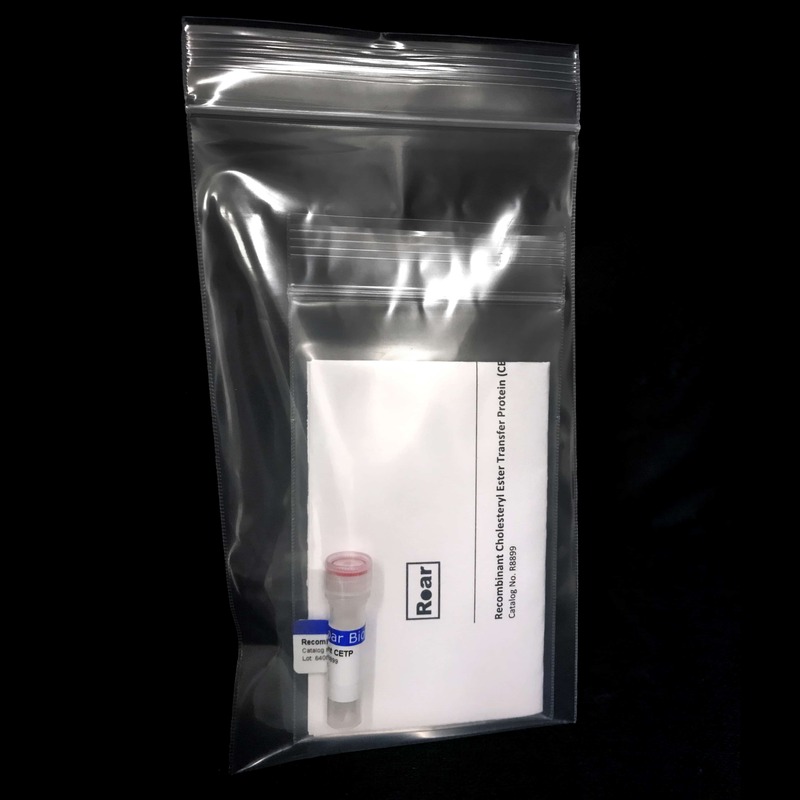 Applications for the assay include high-throughput screening, mechanism of action determination and structure-activity relationship (SAR) studies. 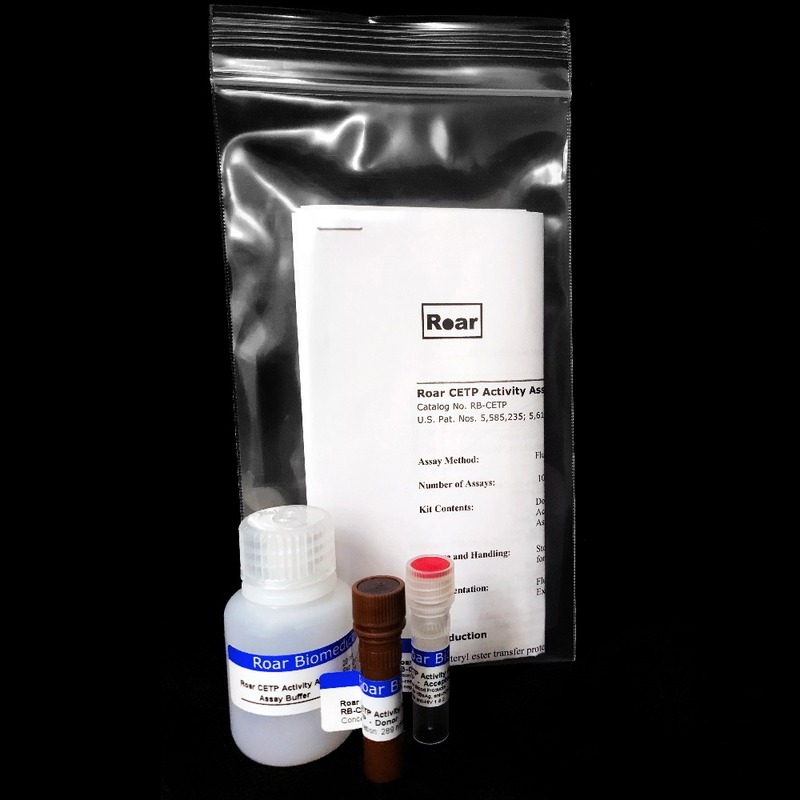 The Roar CETP RP Activity Assay uses synthetic particle substrates designed to detect changes in specific neutral-lipid-mass transfer. The assay yields very high signal-to-background values within a wide linear range using recombinant CETP as the CETP source.